The landing is scheduled for around 10:25 pm (1925 GMT). Israeli NGO SpaceIL and state-owned Israel Aerospace Industries (IAI), the two main partners, describe the project as the "world's first spacecraft built in a non-governmental mission," with philanthropist Morris Kahn putting up $40 million of the $100 million budget. Other partners who joined later come from "the private sector, government and academia," the IAI website says. 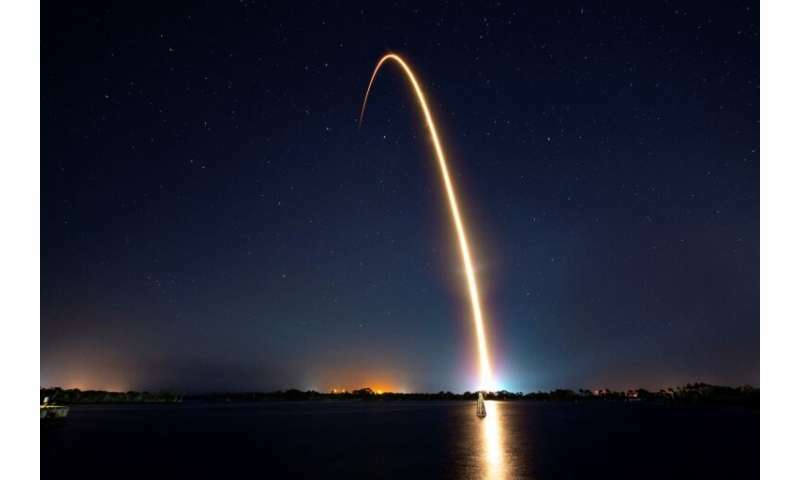 The country's president, Reuven Rivlin, has invited 80 middle school space buffs to view the landing with him at his official Jerusalem residence, his office said in a statement. 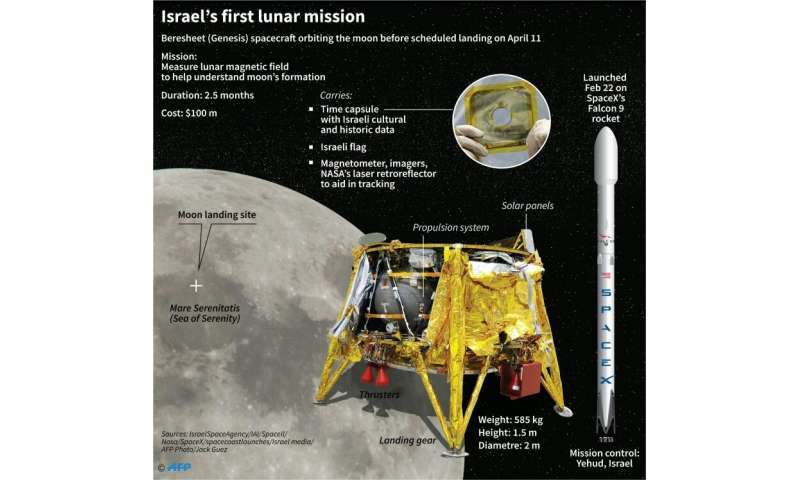 For Israel, the landing itself is the main mission, but the spacecraft also carries on its one-way trip a scientific instrument to measure the lunar magnetic field, which will help understanding of the moon's formation. "We are all very exited," a senior IAI engineer, identified only as Daniel because of the sensitivity of his job, told Israeli public radio four hours before the scheduled landing time. "We've checked everything that can be checked but always something can go wrong." The data will be shared with US space agency NASA. 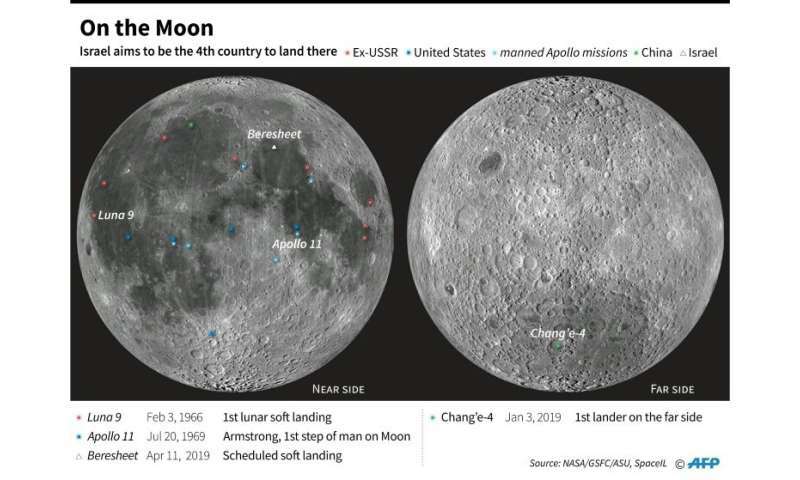 Landing sites for probes and manned missions on the Moon, where Israel will try to place a probe Thursday after the former USSR, the USA and China. Asked in December whether the project had so far gone as planned, SpaceIL co-founder Yariv Bash said "hell no". India hopes to become the fifth lunar country in the spring with its Chandrayaan-2 mission. It aims to put a craft with a rover onto the moon's surface to collect data. I wonder which part of the moon Netanyahu will want to annexe first?